What Lexie Loves: The big Emma Shevah post! The big Emma Shevah post! Hi everyone! You might have seen a post I did about a month ago, called The Big Gill Lewis Post. Now I'm doing another author post, but with another author I love, Emma Shevah! Amber is half-Italian, half-Japanese, absolutely tiny and starting 'big school'. How WILL she cope? But on top of all her problems there, there is another half to her. Her father is gone, and never coming back. So Amber tries to dream up a pretend dad there to guide her through all her problems with friends, school, family and help to find Amber's inner warrior. This is the sort of book that may strike you as a heartfelt and sad tale. On the complete opposite scale, this book is actually really funny, casual and laidback. There are some really sad moments, but actually its a happy book that is guaranteed to make you laugh, I really couldn't put it down! 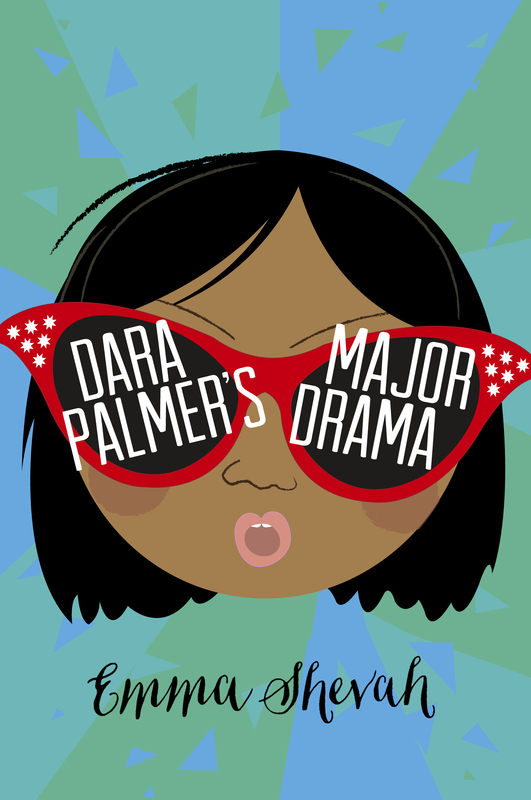 11 year old Dara Palmer LOVES acting. By that I mean drama is her LIFE and she has big-time dreams. She is certain, one day that her best friend Lacey and her will be mega-famous actresses in Hollywood! When auditions are out for the school play, Dara is desperate to get the main part. So when Dara doesn't even get a small part, Dara is distraught, angry and confused. Maybe it's her looks that are letting her down rather than her acting skills? This book again is really funny, realistic, detailed, dramatic yet still warming in places. I absolutely bond with all the characters (hate some, love some) and think that the plot is definitely going to be relatable to lots of people. I dare you to read this and not fall in love with Dara! The idea is sad, yet hilarious and you can picture all the scenes in your head. Again, a key to laughter! Overall, I LOVE Emma Shevah, and both her books - I can't wait for her to write a 3rd one! I would recommend both books to girls aged 8 - 11, and if you've read one and enjoyed it, then READ THE OTHER! Thanks to Waterstones for sending me Dream On, Amber and to Chicken House for sending me Dara Palmer's Major Drama to review, I LOVED them! So true. Dream on Amber, sounds like my kinda book!